Fr. Christopher Roberts getting his preach on. The Latin Mass Community of St. John Bosco is pleased to announce the upcoming schedule of Latin Masses for the Advent and Christmas seasons in the Diocese of Lafayette-in-Indiana. To end the Christmas season, there will be a Sung High Mass on Tuesday, February 2nd at 7 P.M., at Sacred Heart Parish, 410 S. Pearl St., Cicero, IN 46034, in honor of the Feast of the Presentation, also known as Candelmas. All are invited to bring candles for blessing before the Mass. All Masses will be offered by the personal chaplain of the St. John Bosco Latin Mass Community, Father Christopher Roberts. You can keep track of other upcoming Latin Masses, as well as read Father’s blog, at http://andthechurch.com/. We hope to see you at these upcoming Masses, and wish you a fruitful Advent as well as a Merry Christmas! The deadline for registration is February 5th. Please contact Rick Orr at rick AT mysticflight DOT com for more information. The deadline for registration is January 10th. Please contact Cindy Wilson at cynthiawilson AT etczone DOT com for more information. 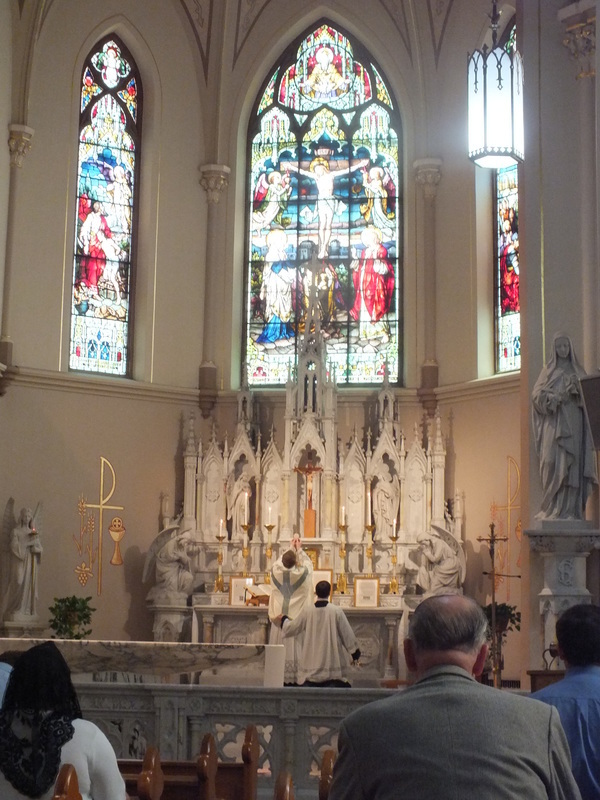 As many of you may already know, the Diocese of Lafayette is the only diocese in Indiana without a regular Sunday TLM. 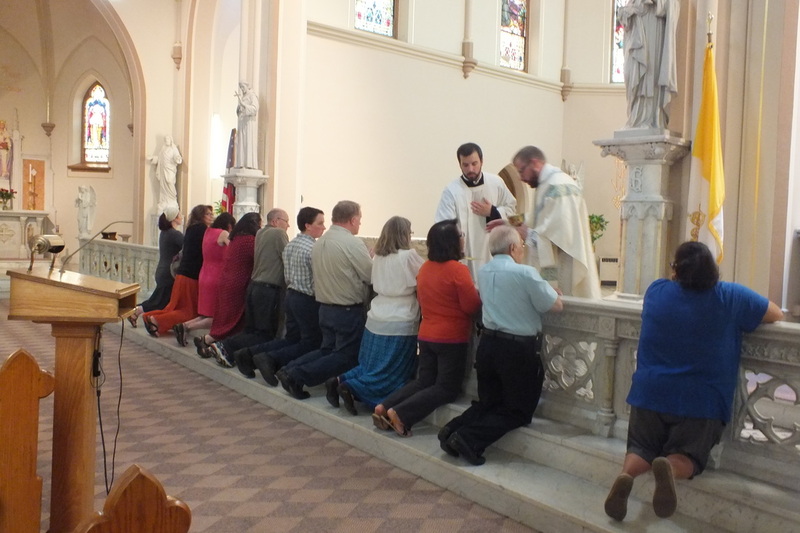 On Tuesday, September 29th, TLMers in the Diocese of Lafayette will begin praying a 54-day novena to bring a regular Sunday TLM to the diocese. To launch the novena, Fr. Christopher Roberts will celebrate a High Mass at Sacred Heart of Jesus Catholic Church in Cicero, beginning at 6 PM. Sacred Heart is located at 410 South Pearl Street, Cicero, IN 46034. Please join us at the Mass, and in praying for a regular Sunday TLM for the Diocese of Lafayette! Solemn High Mass @ St. Stanislaus September 27th! The Reverend Monsignor John Fritz announces the celebration of a Solemn High Mass on September 27th, 10:00 am, at St. Stanislaus Catholic Church in South Bend. Frs. Saguto and Harkins (FSSP) will be visiting that weekend, so the community will have all the needed ministers for a Solemn Mass. St. Stanislaus Catholic Church is located at 415 North Brookfield Street, South Bend, Indiana 46628. Great News for South Bend! September 8th will be an evening to celebrate for the St. 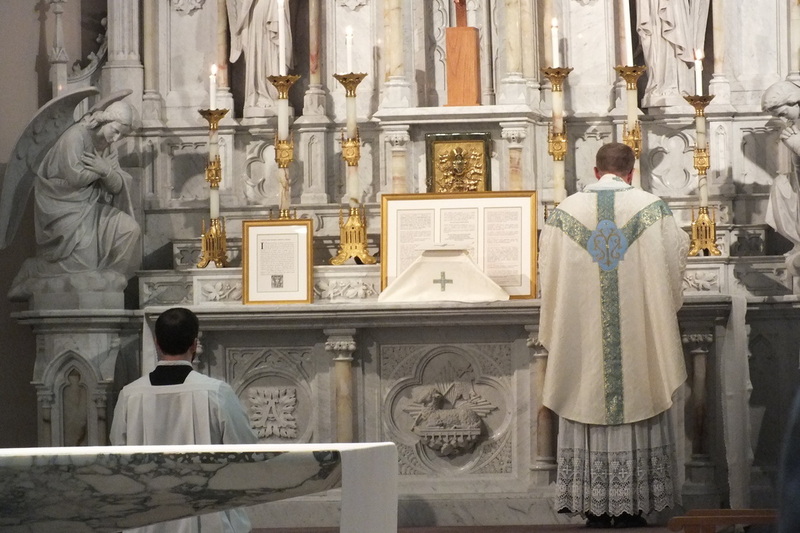 Mother Theodore Guerin Latin Mass Community in South Bend. After many years holding services at St. Patrick's, the community has been offered permanent residence at St. Stanislaus parish (415 North Brookfield Street, South Bend, IN 46628). The inaugural Sung Mass at St. Stanislaus will be held the evening of the 8th at 7 P.M. Monsignor John Fritz, FSSP, will be the celebrant. The community is in the process of creating their own new website, but further information can still be found at the community's current website. Msgr. Fritz can be contacted by emailing: chaplain AT sbfssp DOT com. You don't have to be this guy to do this job well. The Indiana TLM Community is looking for Parish Correspondents from all parishes in the state of Indiana that offer the Tridentine Rite Mass. Ernie Pyle-journalistic expertise not required. Volunteers need only keep us informed about all upcoming events or newsworthy stories related to their parish, so that we can post it all on the website. To volunteer, please email dan DOT knight DOT 13 AT gmail DOT com, or send an email through the website (top right-hand corner, little mail icon). First Lafayette TLM in a LONG Time!